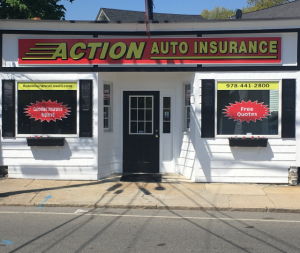 Buying an insurance policy from Action Auto Insurance couldn't be easier! We can email the insurance forms to you, putting you a click away from purchasing insurance right from your computer or mobile device. Action Auto Insurance offers local service, low rates and the convenience of modern technology. Action Auto Insurance.....simple, fast, convenient. Save Money On Car Insurance! Call 978-441-2800 and an experienced agent will help you! You will notice we take time to listen and help you find the right policy so that you are getting the best deal possible. We are an independent agency. We serve YOU first. We have relationships with several insurance companies, allowing you to get the right price with the right service. Our experienced representatives are waiting to provide you with a free quote.